Sb≥99.99%. 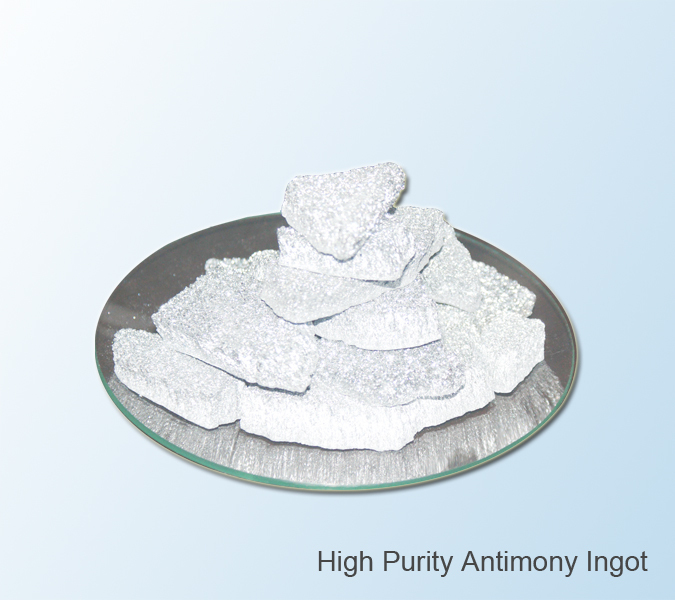 Silvery white solid with polish and crisp character; Density is 6.62 g/cm3; Melting Point at 630℃. Inner packing is polystyrene film bag of 2 kgs net each, and outer packing is carton box of 10 kgs net each. Or as customer’s requirements. Mainly used for manufacturing II-IV compound semiconductor, high purity alloys, electronic refrigeration materials and dopants for germanium or silicon components.